• Reworking of natural and polycrystalline diamond wire drawing dies. • Reworking of tungsten carbide wire drawing dies - round and shaped. 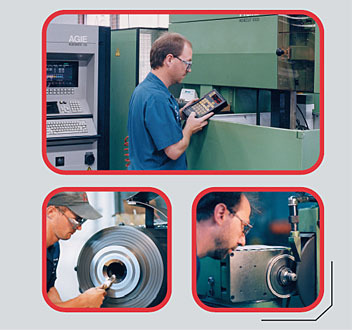 • Custom grinding of hardmetal parts. • Custom wire and sink EDM services. • Consulting services for the evaluation and application of hardmetal parts to replace conventional wear parts.